Dr. Ehle is a member of the Pan American Allergy Society. He has completed their training course, and spent time with some of the best integrative allergists in the country, including Dr. Rea, Dr. Lang, Dr. Kostanis, and Dr. Block. Here at Well Life Family Medicine, we have teamed up with Direct Allergy to offer what we feel is the most comprehensive allergy testing and treatment program in Amarillo. We perform both skin and blood testing for food and airborne allergies, as well as food sensitivity testing. For treatment options, we provide the traditional allergy shots and drops as well as low dose allergen shots in addition to nutritional, acupuncture, homeopathy, herbal supplements, and oral medications. Want to find out if your allergies are affecting your quality of life? Allergies not only manifest as classic symptoms like nasal congestion and itchy, watery eyes, they can also cause fatigue, joint pain, changes in mood (like depression), gastrointestinal symptoms (like diarrhea or constipation), eczema, asthma, brain fog and headaches. Are allergies robbing you of your life? Allergy immunotherapy treatment is only as effective as the testing. Because of this, we spend two hours to determine not only what you are allergic to but the severity of your allergy. We test for 70 different allergens – 46 environmental (weeds, trees, grasses, dust mites, molds, animals) and 24 foods. Our testing protocol was designed with your comfort in mind. A screening scratch test for environmental and food allergens will be done on your back to determine if you have an allergic reaction to any them. Then a single, small series of under the skin tests (intradermal) will be done to determine how allergic you are to each of them. After the testing is complete, I review the test results with you and determine if immunotherapy (allergy shots or drops) is the right option for you. No more traveling to other providers to get treatment! Your allergy treatment will be managed by the provider that knows you best, your primary care physician. If you are currently being treated for your allergies with someone else it is also possible to switch over to us, if you would prefer. For some insurance plans, allergy testing is as little as a $25 office copay. Too good to not take advantage of! Treating the cause, not the symptoms! Call or email today to find out more information, to check on your insurance coverage or to schedule allergy testing. The goal of our Allergy Program is to eliminate the reaction to airborne allergens that contribute to hay-fever, sinusitis, asthma, and allergic rhinitis. Allergy desensitization involves slowly introducing an antigen serum (an extract of the dusts, molds, and pollens that cause allergies), into your body. The amount of serum is gradually increased over time, until the body learns to ignore the allergy causing agents it contains. As the body learns to tolerate these chemicals, it stops overreacting to them, and your allergic reactions start to diminish. Our method is extremely safe and highly effective. Our program is effective for all ages; 80% of our allergic patients and 90% of our asthma patients see improvement in just 1-3 months, compared with up to 2 years with traditional allergy injection programs. 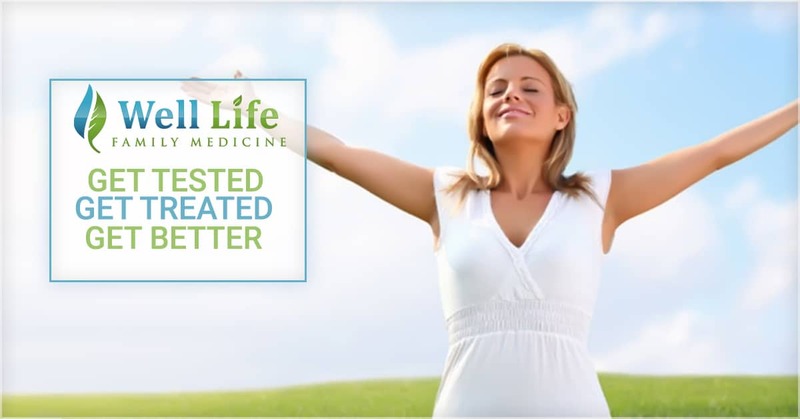 Get relief now, from your allergy and asthma conditions. Contact us today, and begin your road to feeling better.